Diet-related advice is always the first thing you hear when it comes to overcoming any sort of gut issue. That’s true whether you’re trying to avoid the abdominal pain or bouts of constipation or diarrhea that can come with a chronic illness like Lyme disease or fibromyalgia, or sidestep triggers for GI conditions like leaky gut syndrome or irritable bowel syndrome (IBS). It’s good guidance, of course, but it’s not always easy – and it’s not always enough. Fortunately, there are other effective tools you can use to help cope with digestive issues. The following four steps are additional, diet-free ways to hack common sources of GI distress. Put them into action and not only will you ease symptoms, you’ll also help prevent future ones. And as an added bonus, when you improve your gut health, you also enhance immune function and support your recovery from chronic illness. Keep reading to learn four key habits to revive your gut health. In a healthy gut, the cells in the intestinal mucosa – which line your intestines and create a barrier to troublemakers like pathogens – fit neatly together like puzzle pieces. But over time, gut disruptors like toxins and gluten can inflame, irritate, and compromise the intestinal mucosa, allowing them to sneak across the gut-blood barrier and triggering symptoms like abdominal pain, gas, bloating, diarrhea, constipation, nausea, or indigestion (all classic signs of leaky gut). Take herbs with mucilage, a demulcent that acts like the mucous barrier in your gut. These can help serve as barrier to foreign substances until you’re able to rebuild your mucosa. My favorite mucilage-containing herb is slippery elm. Try carminatives. These are natural substances that lessen intestinal spasms and reduce gas. Cardamom and fennel are two excellent options to ease these troubling symptoms. Drink ginger tea. It’s great for soothing the stomach, plus it offers antiviral and other antimicrobial properties if you’re fighting pathogens. Avoid anti-inflammatory drugs and alcohol. This includes over-the-counter medications like ibuprofen (Advil) and naproxen (Aleve) as well as numerous prescription drugs. Both medications and alcohol contribute to ulcer formation in the stomach. If your gut is dysfunctional and inflamed, odds are you’re producing less of the digestive enzymes and stomach acids you need to properly digest a meal. As a result, your liver gets congested, and food moves through the digestive process at an increasingly slower pace. While you’re working to help restore your gut health, the following tips can help support digestive function until it’s back up to speed. Take digestive enzymes. Supplementing with an assortment of enzymes (such as protease, amylase, alpha-galactosidase, lipase, and others) can help your body digest protein, fat, and carbs until it’s able to restore normal enzyme levels. It also promotes nutrient assimilation and conversion and excretion of waste. Support normal liver and gallbladder function. To encourage healthy bile flow, take 400 mg of milk thistle daily. It contains silymarin, which is a powerful antioxidant and promoter of liver health. Additionally, the herbs andrographis and artichoke extract provide similar properties. Sip apple cider vinegar (ACV). 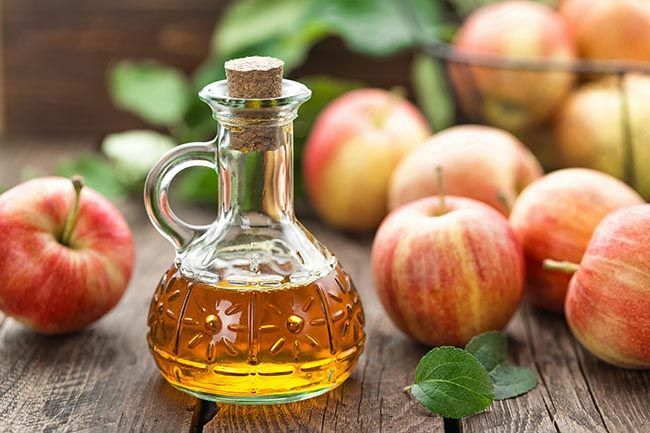 When taken with meals, ACV can help increase acidity in the stomach to support digestion, after which the acetic acid in vinegar is neutralized in the small intestine to acetate and absorbed into the bloodstream. Acetate can help dissolve calcium oxalate crystals in tissues that can contribute to kidney stone formation. 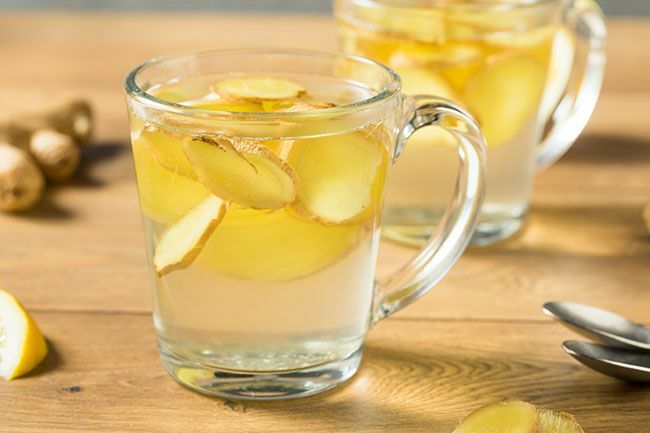 Take 2 tablespoons of ACV in 6 ounces of water with a drizzle of honey with each meal. Note: If burning or discomfort occurs, use of ACV should be discontinued until gut healing is more advanced. Normalize bowel function. Vitamins A, B, and C and minerals like zinc and magnesium help your body produce digestive enzymes, ease gut inflammation, and aid in the growth of beneficial bacteria. Note that excess vitamin C can be converted into oxalate, so don’t take more than 2,000 mg a day, and if it bothers you, nix it altogether. Add omega-3 essential fatty acids to your diet. Found in krill oil, fish oil, flax oil, and borage oil, these beneficial oils reduce inflammation in the gut and encourage normal bowel movements. For significant intestinal dysfunction, antimicrobial supplements may be necessary to help facilitate the growth of beneficial bacteria and deter the growth of symptom-inducing microbes. Herbs with antimicrobial properties offer the advantage of inhibiting the growth of pathogenic organisms without adversely affecting normal bacterial flora. The good news is that once your gut health is reestablished, normal microbiome balance can generally be maintained with diet alone. Use herbs to reduce the pathogenic organisms. 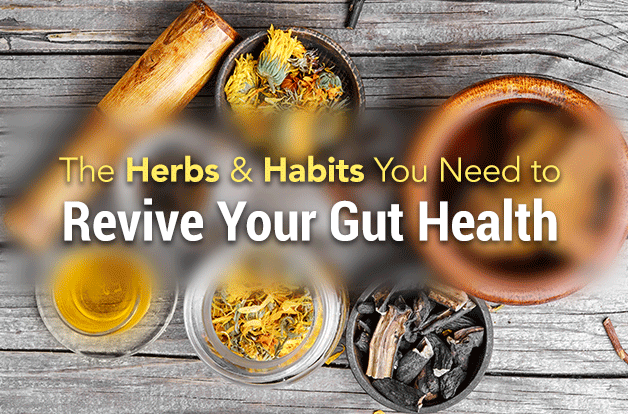 Gut-friendly herbs, including berberine, andrographis, cat’s claw, sarsaparilla, and garlic, support the growth of friendly, normal flora and suppress the growth of pathogenic bacteria. Coverage includes common pathogenic bacteria, yeast, and protozoa. These herbs can be used alone or in combination for a synergistic effect against problematic microbes. Stock up on ginger. 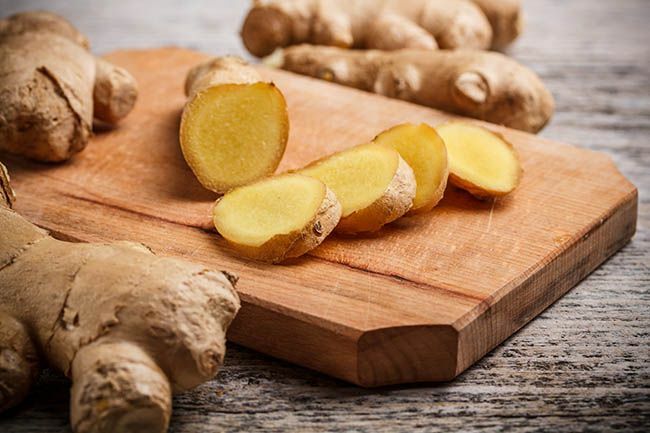 You’ll notice ginger is recommended for many aspects of gut health. Not only does it have the ability to soothe the lining of the stomach, but it offers activity against many common gut pathogens. Eat prebiotic foods. Prebiotics like inulin and fructo-oligosaccharides are fibers that provide nourishment for favorable bacteria. These substances are found naturally in onions, garlic, chicory, and Jerusalem artichoke. Increase your intake of fermented foods. Daily consumption of yogurt or other fermented foods is important for seeding the intestinal tract with favorable bacteria, but concentrations of bacteria in yogurt are often not adequate if significant dysbiosis, an imbalance in the gut bacteria, is present. Probiotics may provide additional support. Consider probiotics. Evidence of probiotics’ benefits for various health concerns is marginal at best, but they have been shown to help folks with IBS. It’s really trial and error, however: Because every person’s gut microbiome is different, some people gain benefit from a probiotic and others do not. The best probiotic to consider for IBS is one that contains both lactobacillus and bifidobacteria species. Stubborn and overwhelming stress is often a primary driving force behind digestive dysfunction. That’s because chronic stress tells your body to stay ready to fight or flee, which in turn puts digestion on hold – it’s simply not a necessary function when you’re in survival mode. This inhibits the movement of food from your stomach through your intestinal tract. Stress also halts the flow of bile in the liver and gallbladder, which normally aids in the digestion of fats and acts as the vehicle for carrying neutralized toxins out of the body. As you can see, putting stress back in the box is essential for allowing the gastrointestinal tract to perform its job. Try the following tips for reining in stress and supporting normal digestion. Practice gentle exercise and stretching. Mild forms of exercise such as yoga, qigong, and walking encourage relaxation and enhance digestion. In fact, research published in the journal Psychology, Health & Medicine found that walking twice a week helped IBS sufferers experience a decrease in overall GI symptoms and well as feelings of anxiety. Prioritize sleep. If you’re not getting enough sleep, stress will remain your constant companion. Reach for herbs that promote healthy sleep, such as passion flower and motherwort. Bonus: Motherwort also helps reduce intestinal spasms. Drink a mug of chamomile tea. Research suggests that sipping a cup of chamomile tea can help bring on both relaxation and sleep. It’s also excellent for calming the intestinal tract. If you’re interested in trying an herbal approach to restoring gut health, I encourage you to learn more about my holistic gut health protocol. It includes many of the herbs I recommend above and used myself to overcome my own gut dysfunction, all in one easy-to-follow and comprehensive program. Finally, remember that no matter where you’re at with gut health, patience and persistence pay off. With time and effort, digestive function will return to normal. You may always have to watch what you eat, but making smart lifestyle choices a central part of your everyday life will go a long way toward sustaining recovery.